As June comes to an end I am looking forward to a nice summer. Hopefully all this rain will let up enough so things can dry up. Yesterday was a day for squatting; I went to Albany Strength and worked on my form. Working on my muscle memory. I know you have heard that song and dance before. How about talking about fueling your body instead. One of my friends who lives in New Hampshire, you know who you are, works out like a mad woman. She does twice as much cardio as I do. and she strength trains for longer periods than I do. At least it seems that way. She often struggles with reaching her goal weight, which is probably set too low. Now, some of this is because she is putting on muscle, and I believe the other reason was she was not eating enough. This was putting her body in preservation or starvation mode. She was on vacation for a little while, and I assume was not working-out to the level she normally does. She sent out a note today stating she was back from vacation and let us know she dropped two pounds. I am opining that this is because her body was not over worked for the amount of food she was taking in. The human body is an amazing machine. It is able to determine when it is getting too much exercise or food and it even tries to warn us. If we listen to it and pay attention to our bodies we will be happier healthier people, while reaching our goals. If you are working out but not losing weight, you may be surprised to learn that you're not eating enough to lose weight. Nutrition experts say many active people could lose more weight and perform better if they ate more. If you are hungry, and I mean truly hungry then have something to eat. No, I am not talking about a bowl of ice cream that you may be craving. I am talking about a healthy snack on your diet plan. Good morning again. My focus today is motivation. Yesterday at work someone asked my how could I go to the gym everyday, to her it looks like everyday because I go during my lunch, they said “ For the past 2 years you have gone religiously and have not missed a day.” I informed them I have missed a day here and there but yes they are few and far between. I continued on to say that, everyone needs to find his or her own motivation. In the beginning mine was to just get physically fit enough to play with my kids and try to get a six pack back for abs. As I continue to work out and got stronger motivation came in the form of watching the changes in my body. I also keep a fat picture in my cell phone to remind me how easy it is to get back out of shape. Most people will have periods where their motivation and confidence in themselves will wane. In the beginning it is easier to stay motivated because you can see the external changes in your body and these changes are motivating. However as you become more fit these changes become harder to notice and at times people will tend to think, why should I train so hard I am not seeing the results I want. At this point it is a good Idea to look a little deeper in yourself. Notice how the training is making you feel at that moment. Take note of the strength gains you have had and remember as you get closer to your goal in weight loss say with in those last ten pounds your body it going to resist losing it. It is going to be hard to lose those last ten than it was losing the first fifty or more. At this point you may want to switch any goals you had set and regarding weight loss and concentrate more on putting lean muscle mass on. This will get your metabolism cranking and since you won’t be stressing over losing the last ten, your body will release less cortisone into your body, which inhibits fat loss. Cortisone is a steroid hormone, or glucocorticoid, produced by the adrenal gland. It is released in response to stress. Phew, how did I get from motivation to hormones that make losing fat more difficult? We all need to find the things that motivate us. Being a little narcissistic I enjoy seeing the striations in the muscles when I work it. I enjoy seeing how the muscle works and when it is used. If you no longer feel motivated analyze the situation and find something else that motivates you. If you can feel yourself wanting to skip a workout, you can stop and take the time to write down what you're feeling at that point. Then, if you do in fact skip the workout, write down again two or three hours later what you feel. Don't let yourself hold anything back while doing this - you should down what thoughts are running through your mind. Then, do the same for days when you do proceed to do your workout so you can clearly see the difference between the two. In many cases you figure out what is happening on the days you are less motivated and avoid those triggers. Good morning did you miss me? I hope someone did. Did some benching yesterday and today I think I am going to do weighted core exercises. Squats will be Wednesday this week, and deadlifts will be on Friday I hope. This has been one of those weeks where I have had to be flexible in my schedule with working out. I want to do supportive exercises on Tuesday and Thursday. We will see how it goes. Just a reminder to everyone, I do have a questions and answer page which includes my email. Let me know if you have any questions diet or exercise related. Also please take a look at my supplement page. If there are products you would like to see there, let me know. OK back to the today’s post. I thought I would talk about getting enough sleep. I know you would think this one is easy. However, with today’s busy lifestyles, it is one of the things we let suffer. I do not get enough sleep. I was up too late last night. I first went to bed at 9:00, but could not sleep and got up and stayed up till 11:00. I wake up around 5:00 every morning. I do not get out of bed right away but I am awake. I know you are thinking well that is 6 hours. Remember I said I stayed up till 11 not fell asleep at 11. Besides when you are hitting the weights your body needs more than 6 hours of sleep. You and I need to make sure we get enough sleep for good mental health and for our physical health as well. This will help fuel our workouts as we will be well rested. Take the TV out of the bedroom. Remember how I have talked about muscle memory in the past? The same applies here in that if your body is use to watching TV every night it will begin to expect it. Try to set an actual bedtime and be consistent in getting to bed at that time. These things will help you get the sleep you need. Earlier this week, Jim asked me if I was interested in writing a segment for his blog. I thought this was brave of him, considering how much I like potatoes. I will leave the diet tips to Jim and focus more on the weight room. This first post will be mostly background information, but there are a few lessons in here. In high school I was interested in, and loved playing most sports. However I didn’t pick the right parents to be a great athlete, and the only team I was on was the math team. Fast forward a few years, and while in graduate school in Kansas, I started to lift weights at my university’s gym. My workouts initially consisted of doing a little work for every body part, every other day, mostly using machines. When I started, I weighed about 150 pounds. The only big lift that I knew of was the bench press. I would not consider myself that strong at the time, as I could lift about 170 pounds a few weeks after I started to lift weights. I set the goal of benching 200 pounds. Eventually I benched 200 pounds and my next goal was 225. Each time I reached a goal, I would set another one to give me something to work toward. About three years later I weighed nearly 200 pounds and could bench press 320 for multiple reps.
Luckily I suffered my first weightlifting injury. While performing a negative rep, something popped in my shoulder. I say this was lucky because during the time I couldn’t work on my bench press, I learned a few other lifts, most notably the squat and the deadlift. Previously my lower body work consisted of machine based exercises, such as leg curls and leg extensions. With some of those machines, I could lift the entire stack. I was about to be humbled. The first time I tried to squat, upon lowering a modest amount of weight to the squat rack’s safety pins, the bar didn’t budge. My legs were weak! While my shoulder recovered I worked on my squats and deadlifts, and within months, I could almost deadlift 300 pounds. Now to the day that changed my life. My goal for the day was to deadlift a new max of 300 pounds. Another student was lifting nearby with substantially more weight on the bar. After I successfully deadlifted 300 pounds for the first time, I started to strip the weight. When I was taking the weight off of the bar, this more experienced lifter asked me, “What are you doing? Put MORE weight on.” He said I could lift more and invited me to lift with him. By the end of the workout, he had me doing a reverse band deadlift where I was locking out over 400 pounds. 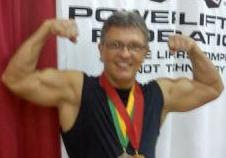 From that day I have been hooked on the powerlifting bug. Four years have passed and now as a powerlifter, I have found myself in the same role that my old friend from Kansas played in my training. In the following posts, I will be giving out tips and strategies that I use myself, that if you choose to, you can apply to your own workouts. Good Morning, very busy day ahead of me today. I am home with my children, and have a lot to get done. I will be working on my deadlift form today. I will use lighter weight and work on my lock out without losing my balance. I need to create some muscle memory for this lift. You can use, and should use, this principle with any new exercise that you add to your routine. Once you have the form down correctly, then you can start increasing the amount of weight you use, and reduce the chance of injury or in my case, get 3 white lights instead of just one on my lift. When I wrestled when I was much younger we had a 10-point drill. This was an action/reaction drill designed to stimulate muscle memory. You and a teammate would go through this drill repeatedly every day. Switching start positions to make sure we set the muscle memory in both directions. This worked very well and when you got to your match many times you countered an opponent's move without thinking about it. This is what I want to build into my lifts. I want to push or pull heavy weight without having to think about my form. 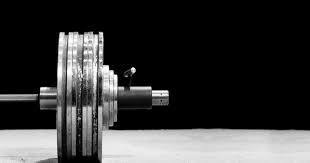 Today when you workout, try to build in some muscle memory for your lifts. Go a little lighter today and make sure your form is sharp and add an extra few reps per set. Then add a couple extra sets. Let’s build some muscle memory together. Tomorrow will be a special treat. I hope to have a guest blogger for you all. He is one of my powerlifting friends and you have heard me refer to him as a beast in the deadlift. With today’s rant a quote from Dr. Mark Hillman comes to mind. “It’s not trespassing to go beyond your boundaries”. I am lucky enough to get to enjoy a cup of coffee and some quick wit banter with Dr. Hillman on a regular basis. He has a coffee mug with that quote on it. As I reread this quote it struck me that we set our own boundaries, and many times these boundaries are not broad enough. People who do not set boundaries at all may truly be the real heroes in our society. I will have to think about that statement some more. Let’s talk instead about those of us who set our boundaries. 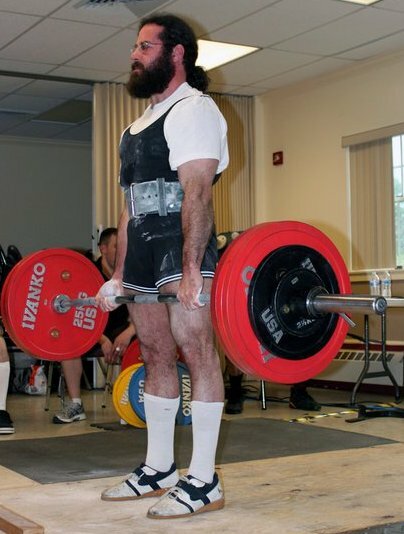 For example, you all know I recently competed in a power-lifting competition. Originally, I was not going to compete in the deadlift portion of the meet because I didn’t feel that I was strong enough in the lift. I did not even think I could pull 400 pounds off the floor. I had set that goal to be made in November. For whatever reason I decided to enter. Could it have been the friendly ribbing from my power-lifting friends, or was it just something inside of me that said, "go ahead and do it, what do you have to lose"? Well I went and did the lift, and much to my amazement I pulled 407 pounds off the floor. It seems as I sit here I had set a boundary for myself and that boundary was not broad enough. Maybe we all sell ourselves short a little bit. Maybe we all need to look beyond the boundaries we set. When we set big goals are they big enough or do we pigeon hole ourselves in a fashion that doesn’t let us live or lives to the fullest. Dr. Hillman was my high school guidance counselor, and he is now a renowned therapist. If he had boundaries in the past he has gone past those boundaries. He often gives his opinion on National Television regarding a broad range of issues. Feel free to check out his website Dr. Mark Hillman . So this week I will ignore any boundaries I have set for myself and go beyond them. I will push harder and not let my fear of the unknown hinder me. I have put off getting my personal training certification long enough. It is time for me to get that certification in something I love to do. Your goal this week is to look at the boundaries you have set for yourself, and determine what boundaries have kept you from reaching your health and fitness goals. Let’s do this together! Have a great workout and go past those boundaries! I know I have mentioned setting goals, and I think goals really do help us to better ourselves. With respect to Dr. Hillman’s quote let’s be careful to not allow those goals to become boundaries. Remember to look beyond those boundaries, or at least analyze those boundaries and determine if they should be there in the first place. Some of you or some of your friends may be wondering where to start when striving to get healthier and more physically fit. In my humble opinion you need to start with your diet. Keep in mind diet is not something you do just to lose weight. It is how and what you eat to live. We are omnivores we are built to eat meat and vegetables. Our bodies do very well on a diet rich in proteins, fats and complex carbohydrates and the amount you take in depends on your personal level of physical activity. This is why I think getting your eating in line is the first step to getting healthy. To get a handle on this, try writing down everything you put in your mouth each day for a week, being sure to write down how much of each item as well. This includes any liquids. Eat like you normally would. At the end of the week enter your meals into Fitday.com or Fatsecret.com. Both these sites are great for tracking your food intake. After you see the calories, and how they break down with protein, fats, carbohydrates, and alcohol, take another moment to weigh out a true portion size so you can actually see how much the manufacture states is a portion. You will be surprised at just how much you are over eating. Exercise will help to lose body fat but the real factor is the nutrition aspect of your new life style. Take control of your life and eat properly. This is one area of your life where no one can help you. You have to want to do this yourself. It is also harder to find an excuse not to eat properly. We either make good choices or we don’t. Choose wisely and choose wisely daily. I am not a fan of cheat days. I have people ask me very often do I have a cheat day. My answer of course, is NO. One cheat day becomes two then it becomes a week and the next thing you know you are overweight again and looking in the mirror wondering what happened to me. So get your eating right first then kick-start that metabolism with some exercise. Choose an eating plan and stick to it. You all know I am a fan of eating an Atkins lifestyle. It works for me. I know how many carbs I can get away with eating and I know how my body will react to simple sugars. I have said it once and I will say it again. I am allergic to sugar. It makes me break out in fat. I did not come up with that saying an Atkins poster did. However, I totally agree with that statement. Good morning everyone. As I sit here I wonder what to talk about. I did chest yesterday around noon and then again last night. I am not sure if this was a good idea or not. I am curious what some of my friends who are trainers will actually think of this. At around lunch time I did chest higher weight 5 sets of 5 then worked my way up to a max with single reps. Then last night I pound out set of 8 to 10 till failure. It felt great last night and I do have some DOMS this morning. It was one of those days where I truly felt I just wanted to workout for hours, and push myself to the max. During the day I worked out with my gym partner, and last night I flew solo. Sometimes when it is just you and the weights you can push harder than with the spotter. The mind set becomes fight or flight and I prefer to fight the weight and get it up. I will tend to push extra hard at these moments. At least when I am benching. I have to fail a few more times to be able to push like that during a squat. My squat rack is definitely set up in a fashion that if I hit failure I will not get hurt. I just have to be fearless and allow myself to fail and learn to trust the equipment. When you have a spotter you can get caught up with the thought, “Oh he/she will help me if I start to get stuck”. Instead try to adopt the mindset I will not fail in front of this person. Always do you best. Tip: When spotting a person in a workout and they hit failure do not pull the weight up, help just slightly, to allow them to keep pushing through to complete the lift. Lift just enough for them to get the weight moving again. This will get the lifter pushing through the entire lift, and they will benefit greatly from that. Wow, what a weekend. 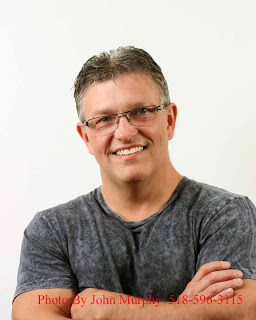 It is a good thing I take the weekends off from lifting and this blog because it seems between Father’s day celebrations, Tai Kwon Do ceremonies and softball with my daughter, I would have no time to work out anyway. I did try to get in some light squats for form but that was all. Well I tried something stupid this weekend and I have to start remembering that I am not 20 something. One of the dads at softball extended his body from a vertical pole doing the human flag trick. He hugged the pole like this. 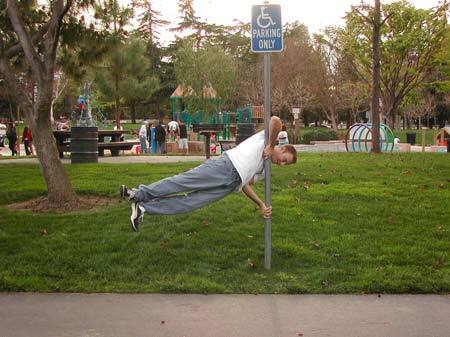 Of course not to be outdone I grabbed the pole in my hands and extended my body as a flag with out hugging the pole. Well let me tell you that was a mistake being the proud foolish man I can be some times. I strained the bicep that I have tendonitis in. It hurt all day and is still tender this morning. It should not effect my squats, bench or deadlift, but I am sure it will bother me on shoulder and back day. I guess this is where today’s rant comes from. We need to know our bodies. If you have an injury you need to be careful and give that body part time to heal. It is very frustrating I know. This bicep has bothered me since February or March. Keep in mind this is not a case of DOMS. This is an injury to the tendon and needs to be rested. I need to listen to my body better. Make sure you do to. If you are having trouble staying motivated try surrounding yourself with people who are where you want to be at in your physical fitness. I have no problems with this. Two of my lifting friends destroy me at the deadlift and I want to get to the level they are at. I may never get there but it makes me work harder. Whether your goal is to just get stronger, more lean or run a 5k get to know the people who are where you want to be. It has taken me all day to get here today but I made it. I will stay committed to posting during the week for you as long as you continue to work towards a healthier life style. I was just talking to a friend who reminded me about a previous conversation he and I had. He follows this blog as well. He mentioned that the things I have told him have helped him hit his goals for his PT test. He shaved a minute and a half off his mile and a half run time and did well on the rest of the test. It strikes me that becoming out of shape and in some cases obese is only a stone throw away for any of us. Life is very busy and when it comes to eating unhealthy choices are everywhere. It is so easy to grab a some fast food meal that it loaded with the wrong fats and or simple carbohydrates, especially the simple carbohydrates. I would name names here but I don’t want any of the product manufacturers coming after me. As we continued to talk he mentioned some very bright intelligent people that have allowed themselves to get to an unhealthy point in their lives. It does not matter how smart we are we all can fall into this trap of unhealthy eating and lack of physical activity. Remember our bodies were made to be in motion. However it seems as technology advances we tend to sit in front of a monitor more and more. Like I am now. This is why we need to take control of our lives and not let our lives take control of us. Regardless what your GPA or IQ is we all can fall into this trap, and we can all get out of it together. Let’s get there my friends. Tip: If you find yourself in a situation and need to get something at a fast food establishment stray from the norm and try one of their salads, or maybe a grilled chicken breast with out the bun. What I do is just find a local supermarket and grab something on plan their. When going on a field trip with a group of 5th graders be sure to bring proper walking shoes, and if it is an amusement park be prepared to see sites you don’t want to see. I mean really what are some people thinking when they go to the park. First off, flip-flops really with all the walking and the projectile kid vomit that could potentially be spewed. Nope not me no flip flops here. OK enough of that I could go on forever regarding how people dress at the amusement park but I guess it is amusing. I just wonder what runs through a 5th graders head when he or she sees people running around dressed the way some of these people are. OK now since I was the park all day I only got my walk in and some cardio running after my son. I also got some triceps; biceps and shoulder work in while spinning the teacups. After the first time every time my some saw a friend he wanted me to spin them all on the teacups. It was a work out and pretty funny. I find my self doing dips in line at the park and calf raises on the stairs going up to the ride many times. So I guess I did get my exercise in. The best part was my son was not embarrassed once. You can work out anywhere, yeah you may get some funny looks when you do calf raises on the stairs. However when they look at your calves they will be impressed enough and wish they had the determination to do what your doing. Or they may just think you are nuts and if that is the case you are in good company with me. That is if you think I am good company. I recently came across Become.com. They are an online shopping website and they do have some athletic wear. If you are looking for Baseball Cleats or Football Cleats at a great price. Then you need to check out Become.com. They also carry Lacrosse Sticks I am so trying to encourage my son to give this sport a shot. Of course he still wants to power lift like his dad. Become seems to have a little bit of everything. They even have some Father's day gift ideas. If you get a chance to check them out you may find just what you need and maybe somethings you don't. Good morning, how about talking about 6 pack abs. I am going to let you in on the big secret, it takes diet and exercise to get them. LOL Some secret. A common sense approach involving exercise and nutrition is all that is required to get ripped, washboard abs. Just a warning though, there is nothing fast about losing weight and getting ripped, it's simple but takes time and dedication. You will need to start some basic core exercises including crunches and planks and also cardio about 30 minutes a day. Good cardio is anything that elevates your heart rate to 70%-85% of your maximum for at least 20 minutes: This chart shows you a guideline you can follow based on your age. Remember to always check with your physician before starting any exercise program. Now lets talk about your diet, this is the big change believe it or not. It is 80% percent of the equation. Maybe more! As you are aware I follow an Atkins approach to my diet. Have for 2 years now. It works for me I eat all the foods I enjoy healthy fats and plenty of vegetables. I love my veggies and a salad with blue cheese dressing is just delicious. You cannot spot reduce fat. That is why the ab machines and stomach wraps do not work. Yeah the stomach neoprene wraps will increase core temp and you will burn a few more calories just to get cooled off, but it does not really spot reduce. Most people fail to achieve their weight loss goals not because they eat too much but because they don't eat enough! They starve themselves then end up going on a food binge! If you are hungry then you are doing something very wrong. It is the foods you eat that make the difference. 6 small meals a day will keep your metabolism cranked and you will lose the weight. I said small meal people. If you caloric allowance is 1800 then that is 300 cals per meal. This will keep you from feeling stuffed and fueled all day with out being hungry. Your core can be worked everyday. The abs are amazing muscles in that they recover quickly and crunches and planks nightly will work them nicely. 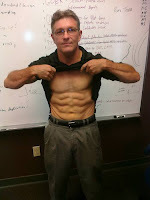 So hit the abs nightly folks and when the fat is gone the abs will be there. Let’s talk about Medium Chain Triglyceride oils. It digests in the body more like a carbohydrate. In fact, it is burned quicker than carbohydrates and has almost no tendency to be stored as body fat. MCT oil is used to sustain energy levels when lowering carbs or adding quality calories to your diet when trying to gain lean mass. MCTs are fats that are naturally found in coconut and palm kernel oil. MCT's are more easily and rapidly digested than other types of fats, as they require lower amounts of enzymes and bile acids for intestinal absorption. MCT's are metabolized very quickly in the liver and are reported to encourage an increase in energy expenditure, while decreasing fat storage. Numerous studies suggest that substituting MCT Oil for other fats in a healthy diet may therefore help to support healthy weight and body composition. It is very helpful in helping you maintain your energy levels when you are trying to get really lean. Some people even think it helps with Atkins Flu. Coconut oil is high in MCTs as well as other fats. I have read recently that 50% of the oil in coconut oil is a MCT oil. There are also MCT oils on the market you can buy. I tend to like and use Captri which is 100% MCT oil. It helps me lean out for a meet and maintain my energy levels. There are of course other brands and I am not endorsing Captri only. Just get a good one if you are interested in picking some up. Just read the nutritional label. Read your labels, take the time to learn how to read your nutritional labels. If you are eating a low carb diet be sure to take note of portion size and the dietary fiber and sugar alcohols in the item. Subtract out the DF and SA form the carbohydrate total and that is your net carb count. Be careful of those sugar alcohols they can be nasty on your digestive system. I had a busy weekend with my children. Saturday we went to the American Museum of Natural History in NYC and let me say I needed a second day to see everything. Of course my children loved seeing the things from the movie “Night at the Museum”. We walked all day. Yes it is a form of exercise. Let me just say my feet were sore. LOL We all had a nice time. Except for the drive home because my TOM TOM was not quick enough with the directions. UGH I went an hour out of my way. I find the getting out of the city to be a nightmare. Now as far as exercise I want to cover the gym atmosphere again. Some people who need to lose a lot of weight tend to stay away from the gym because they feel people will be staring or make fun of them. Please don’t let that be the case for you. I enjoy working out at home, and working out at the gym. For me the gym is a place I feel comfortable, even at my heaviest. I spoke to a trainer recently and we talked about breaking down the gym myths. One myth is that muscle heads and cardio fans, senior citizens, and people who are obese need separate places to work out. Have you heard the commercial “I lift things up and put them down”. Why does a guy like that have to workout someplace else? Why not take advantage of the knowledge base this person has. OK maybe he takes it the extra mile but I assure you that if asked he would be happy to give you some pointers. I have worked out at that gym and yes I set of the lunk alarm with a low grunt. Dam thing freaked me out. I though you have to be kidding me. At the same time I must have helped about 10 people with their form that week and probably saved them some injuries. Any way back to why you should not be afraid to hit the gym if that is where you get the best workout. Many other lifters and myself feel it is a wonderful thing to see someone taking control of their life and getting to the gym. Secondly the people that are obese when they finally lose the weight are the truly strong people. Imagine any bodybuilder or power lifter carrying an extra 100 pounds with them all day everyday. Now that is a strong person. Of course we all need to realize we are different and have different needs. So when you see someone look your way at the gym just smile, and say was there something wrong with my form, or do you have some pointers for me? I bet you will find they are happy to help! Take the time to get to know the people in the gym. It will make it more enjoyable to go there. Now don’t make it social hour but don’t be afraid to say hello and if someone tries to give you a tip don’t think they are trying to pick you up either. I sure hope that is not what the guys who I have helped thought. YIKES! OK that is not the case with me. Maybe in some cases that is true and if it is well who knows. Anyway remember when I said surround yourself with a supportive group, maybe that group is at the gym waiting for you now. Isopure sent me 3 of there new smoothies to try and blog about. I was a little hesitant at first because I do not want this blog to be all about what products I like and dislike. However with that said and since Isopure is not paying me nor are they sponsoring me I can give my honest opinion on their product. They sent me 3 flavors Orange Peach, Berry Pomegranate, and Orange Berry. They pack 32 grams of whey protein isolate in each smoothie. Great for a post workout drink. It also contains 2.5 grams of fat and 14 grams of carbohydrates of which 4 grams are dietary Fiber giving you a net carb allowance of 10 carbs. Here is the thing for me, of the grams of carbs that are left 9 of them are sugar. To many simple carbohydrates for my liking. I mentioned this to them and they assured me they are coming out with a line that has less simple carbohydrates in them. As far as taste I must say I did enjoy them and if you do not care about the amount of sugar in them you could add them to your supplement cart. I will put a link for them in my products section later today and link them here. The Orange Peach and Orange Berry both reminded me of an Orange Julius, I am not sure if that is a Northeast thing or not but they are very tasty and have a nice little citrus bang to them. The Berry Pomegranate I enjoyed just as much. The consistency is very creamy. I give the product a thumbs up. I was sitting enjoying a cup of hazelnut coffee at a bagel shop yesterday morning and saw a friend of mine. We got talking about diet and fat loss. This is getting to be a habit with me. Anyway he said another friend of his, I wonder what he pays him, told him fat loss is 80% diet. Well I told him I agreed. You can workout till you are red in the face but if your diet is not tight you will only put on muscle and tighten those abs under the fat. Now I am all for working out and tightening the muscles under the fat. When you lose the fat they will show nicely. All the crunches in the world will not get you six pack abs. Well that is not exactly true, you will get them, you just need to remove the layer of unwanted fat to see them. As you are all well aware I prefer the low carbohydrate way of eating. Others prefer low fat and they are thin and healthy. The one thing we both have in common is commitment. Like many of us we have a fear of commitment. It is the fear of having the same thing day in and day out. At least that is what I think it is. I know it can be tough to say no to some of the foods that you think you love. Lets take my diet as an example and a few conversations I have had in the past month or so. I recall a man who lives a low carb lifestyle that he thought he really missed pasta. Well he caved in and had some, the thing he came back with from this experiment was he did not miss the pasta, he missed the sauce and other ingredients that were on top of the pasta. Another friend just last night said to me, OMG you don’t ever get to eat pizza. I said yes I do, and told her I use a low carb wrap for the dough. By the way Atkins does sell a low carb protein rich flower for baking and I bet I could make a dough out of that. Anyway I just want to remind you if you commit yourself to a diet commit completely. You will build better habits and be thrilled you did. If you want to get some recipe ideas check out some of my friends’ links on the right side of this page. First to my Dad, Happy Birthday! 70 today and still the man I look up to. Not just because I am shorter than you! Good Morning everyone, the word of the day is impatience. The marketing departments of weight loss products and supplements know we are by nature impatient. Let’s face it we all want the quick fix. Some of us swear we are follow a program perfectly and when they are asked if they are following one or another aspects of the program find they really aren’t following the program at all. I had a conversation last night with a young lady who was under the impression that Atkins was a no carbohydrate. I proceeded to educate her on the plan. She said, “then why does everyone think it is a no carb diet”. I said because they have not read the book. They only know what they hear and they are misinformed. She asked me if I still follow the Atkins diet. I told I do. I also explained that my carbohydrate levels might be higher than hers would be or maybe higher than most, due to the amount of exercise I get. I told her that the book teaches you how to eat properly for the rest of your life. Now I understand that Atkins may not be right for everyone but for me it worked and works to this day. Let’s get back to impatience. I didn’t want this to be an infomercial I do not get paid for my rants. LOL There is always some marketing genius or flacky who will tell you that you can lose a lot of weight by taking this pill or this herb. Really, if we use our heads does this actually make sense? We put the junk in our bodies and we cannot expect some miracle pill to change our eating habits nor correct what our eating habits have done to us. Weight loss and muscle building take time. You need to put the effort and work into it to be successful. We can all be successful in this process. It just takes a little time. Be patient. Take the time to do a little research, if something sounds to good to be true it probably is. Tell yourself that you are making a change in your life that is permanent and that to build those good exercise and eating habits will take sometime. Listen you have the rest of you life ahead of you. Take your time and build those good habits. Worked out light yesterday to give this old body a bit of a rest. I plan on doing a full power-lifting meet sometime in the fall. Either in the USAPL or 100% Raw Federations. I was hoping to do the Bench Press Nationals in September but I am having trouble getting a sponsor to help defray some of the cost. I think my friend Amethyst might be right I should contact AARP for next year. I will be 50 then and they might be interested then. LOL. OK as far as getting ready for a full power meet I found a 5 X 5 work-out generator. You can find it here ,I love this work-out. I am going to use it for the summer in preparation. You put in you one time max and it does the rest with a push of a button. At the end of the cylce I should be able to do my one time max 5 times. I plan on doing this for my Bench, Squat and Deadlift. 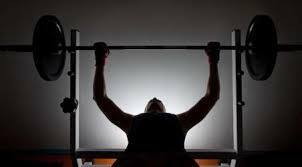 When I bench I will do the first rep with a nice long pause and then the last 4 touch and go to get some explosive power in the lifts. The other thing I need to do and this my friend goes for you to, is drink my water. Drink a lot of it to. Keep your muscles and body hydrated. Sometimes when we are hungry the real problem is that we are dehydrated. So the next time you have feel hungry try a nice glass of cold water. If the water is cold enough you will burn calories just letting your body warm it up to body temperature. OK OK maybe not a real countable amount of calories but calories just the same. Remember baby steps and mini goals. I recently found this on drinking water. “A young male athlete's body is about 75% percent water, while a young female athlete typically boasts about 70% percent. Nearly two-thirds of the water shows up in the muscles, while the rest can be found in the bloodstream. Men and women both, may find themselves "in a constant state of dehydration." Generally, athletes wait for their sense of thirst to signal that it's time to drink. However, thirst is sensed only after dehydration has started. More importantly, once you are dehydrated, it may take as much as 48 hours to properly re-hydrate. This is why so many athletes, unknowingly, are in a constant state of dehydration. As blood volume becomes diminished, blood flow along with oxygen and other nutrients to the muscles is significantly reduced, rendering them less functional. So, DRINK A LOT OF WATER !” Keep a bottle of water with you always! Let’s talk about carbohydrates a little bit. This is a huge debate in the general community. I follow a low carbohydrate diet higher fat diet. I was recently talking with a doctor friend of mine, much to my surprise agreed with this approach. He stated that while everyone is watching fats the problem is the carbohydrates they are eating. Way to many carbs in the diet will be stored, as fat and the simple carbohydrates are the real culprits. When you eat carbs, your body converts them from starches to sugars that are either burned or stored. The simple carbs are broken down by the digestive system, the quicker your blood sugar will go up thus the higher the GI. For example, white bread breaks down rapidly, while apples take a little longer. The theory is that when your blood sugar shoots up quickly, your metabolism is affected. The body responds with a surge of insulin, which causes the sugar to be stored in muscle and fat. A hormone that normally tells the body to burn it's stored fuel, is inhibited by the high sugar. Your blood sugar then decreases dramatically, leaving you hungry again. Ever notice after eating your Chinese take out you feel hungry again fairly quickly? Last week I posted about a study done in Australia that addressed the energy levels between low fat and low carb diets. If you recall both diets will sufficiently fuel the body, while the low carb diet is also more efficient at burning that unwanted fat off the body. I know for myself a low carb lifestyle has helped me get to where I am today. I will say this. When you go to a low carb way of eating the first two weeks are rough. Head-ache and almost feeling like you have the flu. This goes away and I promise you will feel great once your body starts burning fat for fuel. Surround yourself with supportive people. Decide what kind of support you need. Do you want them to remind you to exercise? Ask about your progress? Participate with you regularly or occasionally? Allow you time to exercise by yourself? Go with you to a special event, such as a 5K walk/run? Be understanding when you get up early to exercise? Spend time with the children while you exercise? Try not to ask you to change your exercise routine? Share your activity time with others. Make a date with a family member, friend or co-worker. Be an active role model for your children. If your spouse does not share your passion or your want to get healthy you cannot make them. However you can still surround yourself with friends who can and will be there for you. You can even set up a supportive group of friends online. JUST LIKE HERE! Wow what an event that was on Saturday the 4th. I had a great time. I was way over psyched for the bench press and forgot to wait for the press command twice. However I did bump up my state record by 5 pound so I will take that. Now here is the really interesting part. I competed in the deadlift for the first time ever. I was hoping to pull only 375 as that was my consistent best in the gym. I pulled a PR of 407 lbs. Wooo HOOOO. I can’t believe it. I felt like it went up pretty easy. However I did bobble at the top, loss my balance a little and the judges did not give me the lift but I totally understand why. Since I pulled it so quickly I shocked myself and threw my shoulders back to fast. Which put me off balance a bit so I had to lean forward and the bar came back down a bit and then I settled it out. The drop back down is what failed. I am still stoked though and you can see the video on my facebook page. Prior to this I had never even pulled 400 off the floor and when I did I thought I was going to get a hernia. It just goes to show you with proper form and the right nutrition and hard work anything is possible. I have to re-assess my goals for the Gobbler Open in November. Getting 400 in the deadlift needs to be bumped to 450. I want to thank Mike Macrea, and Brian Espino for their pointers in the dead-lift and Marcus Morris for warming up with me. Thanks guys. When we work hard at something we can really shock ourselves. Give yourself the opportunity to achieve things you may not have thought possible before. Two years ago I never would have thought I would be competing in a power-lifting event. Set your goals my friends, then break them down to smaller goals and hit them. Don’t allow the thought I can’t do this get in your head. There are 2 kinds of people in the world those who say they can’t and those who say they can, THEY ARE BOTH RIGHT! I want to tell you all about a friend of mine I met at a power-lifting meet. Her name is Katia, she is 105 lbs and holds a few records for her weight class. She is a personal trainer and is a dynamo. In a recent meet she bench pressed 143.3 lbs, squatted 214.9lbs and dead-lifted 242. These are some pretty impressive numbers. She works hard and plays hard as well. At least it looks like that from the photos I have seen. You can Google her web-site ONTHEMOVEFITNESS.US. The reason I wanted to mention Katia is to prove a point. She IMHO is not big and bulky but is very strong and physically fit. Ladies do not be afraid of the weights. They want to be held by you. They do not get jealous when you hold a different set, and when you leave them on the floor or put them in there home on the rack they will be right there. I have yet to see a set of weights at the bowling alley or at the bar trying to get picked up there. I guess you do have to watch them in the gym, someone may pick them up there. Thank you Katia for allowing the pleasure of posting your numbers. Alright my meet is tomorrow, I get to weigh in tonight and I am at 164 this morning, I should be set for that tonight. Wish me luck my friends. There are many ideas surrounding protein level intakes and how it should be consumed. When I am training very hard and that is most of the time, I like to get in 1.5 grams to 2 grams of protein a day per lean body mass. I consume the protein in 30 grams intervals. I have read somewhere that your body cannot digest more than that in a meal without having to store the extra grams. Doing this also ensures I have my metabolism cranked. I eat often through out the day. If you are not training at the levels I am then .6 to 1 gram per lean body mass will be fine for you. First let me wish my brother Kenny a very Happy Birthday. He and I are the same age today. We are both 48. OK now lets talk about eating. This can be a scary subject when you are trying to get fit. Especially, if you have been over weight for some time. You will think, I cannot eat that much today and if I do I won’t lose weight. Here is the thing if you are eating the right foods you will lose weight. Most guys need to consume an additional 2,500 to 3,500 calories a week to gain one pound of muscle. This can only happen if you are still young enough to have the testosterone to build that much muscle. You can pump iron until you're blue in the face, but if you don't augment your training efforts with enough food and fluid, the laws of human biology and simple mathematics dictate that you won't get any bigger. "When it comes to gaining muscle, the most important thing is getting enough calories to fuel both your exercise and the metabolic processes needed to build muscle," says Susan M. Kleiner, Ph.D., R.D., author of Power Eating. Most people who have trouble gaining muscle and strength simply aren't eating enough. Ladies this goes for you to. Again you will not get bulky you do not have the hormones to do so. You can however get that lean toned body that will make people turn heads. I battle with this myself. It is very hard when you come from being over weight to being fit to realize you have to eat and eat a lot when you are exercising regularly. However, eating a bunch of junk high in sugar will still make you fat. You need to eat properly to lose fat and get fit. I guess that is a rant for another day. Here we go again, TRACK YOUR FOOD, if you don’t have a food tracker get online and sign up for one. www.fitday.com or www.fatsecret.com are both helpful tools for tracking your food intake. They will help you track your carbs proteins fats and even alcohol. The rest is up to you. Measure your food, see what a real portion size is. Make sure you are not under estimating the food you are eating. No tracking tool will work if all you do is estimate your food intake. Good morning and what a morning it is. The birds are chirping and people are already outside running and it is only 5:30 AM. You have to love this. Today I want to address the ladies out there and let them know it is a good thing for them to weight train as well. If I heard it once I have heard it a hundred times. I suggest weight training to a female co-worker or online friend and she says to me I don’t want to get bulked up. Listen in most cases the women you see that are bulky are taking something. I have seen many woman in the sport of power-lifting who are very strong and none of them are taking any performance enhancing drugs. They can’t because it would be caught in a drug test. Women simply don't produce enough of the hormone testosterone to build muscle mass the way that men do. If you see an over-muscled woman in a body building competition, chances are that she has used a synthetic testosterone such as anabolic steroids. Weight training for a woman will strengthen and tone muscle, burn fat and increase metabolism, not build mass. I have several friends that are female that lift and let me just tell you they are beautiful healthy women who are just that, all woman. I really want you ladies to know not to be afraid of the gym or the weights if you workout at home. So no more excuses ladies, lets get hitting the dumbbells and if you darling better half has earned the nickname dumbbell please don’t go hitting them. As I write the above it strikes me that it's human nature to focus on what you are good at, but when trying to get fit, you should instead be focusing on what your not good at. If your upper body is better developed than your lower body, make sure you assign one or two days per week to work only on this area. My strong point is my bench. My weak point is my legs. I try to hit my legs twice a week. 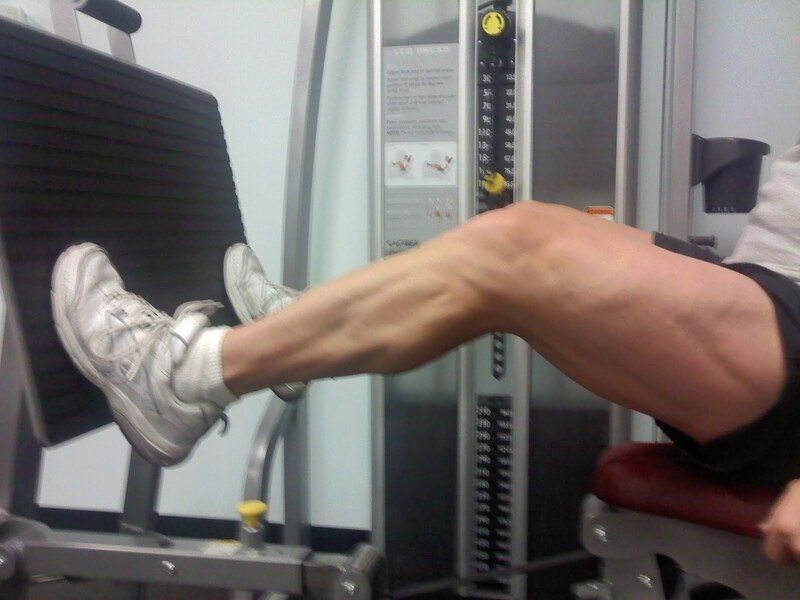 Quoting Ron Harris “If hate leg day you are working them hard enough”… Let me tell you there are days I hate leg day!